Travel Guide: 3 days in Taipei – Dreia-lity bites. Finally! 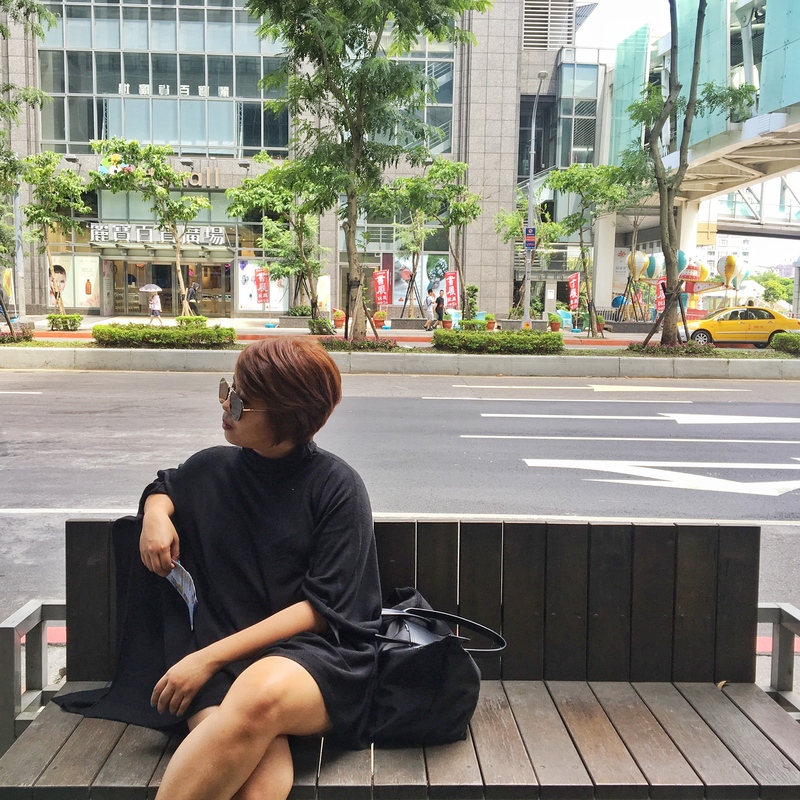 I found the time to share my Taipei itinerary. Food trip. It was in 2015, when I saw Our Awesome Planet’s post about opening slots for Taipei Food Tour. I badly wanted to go but I haven’t saved enough for that trip. So, I promised myself that I will go to Taiwan and go on a food trip too! Lo and behold, tickets were booked by the end of December 2015 and we were set to go July 2016. Meteor Garden. It was thru Meteor Garden that I learned about Taiwan. I just feel giddy thinking about seeing familiar places where the show was shot (Nope, I didn’t see anything familiar). I cannot count how many times I sang Meteor Garden OST while in Taiwan. And when I was in the bus in transit from airport to Taipei, I was observing the NHA-type apartments and kept telling myself, “Ohhh. I think San Chai lived there!” (and I went on for the next 5 condominiums until I realize how silly I was). Pandas! Of course, who doesn’t want to see a real-life panda? My friend, Krissy found Muiu Capsule Inn through Booking.com. It was a 5-minute walk from the Taipei Metro Station, which is if you ask me, is a good area to stay in. You have access to a department store, restaurants, milk tea stalls, Mcdonalds (lol! ), train station and bus station to airport. The room we booked was a small one with a bunk bed, the bed and comforter were extremely comfortable! It has no window and there was a limited space for us to move around. You can only put around 2 – 3 small to medium luggages max. Also, they have a shared bathroom per floor. It is ideal for those who are looking for a cheap place in the center of Taipei but not for the maarte type. It was a good choice for us since we just want a place to stay in. We were out the entire day anyway. Taipei has a complex train system but not as complex as Japan. At first, it can be overwhelming but after a few train rides, you’ll see it is not as hard to understand as how it appears. Almost all the attractions in Taipei are accesible by train. So, I highly suggest for you to buy an Easy Card (similar to Octopus card of HK). We bought our Easy Card in a 711 store below our hostel. We paid 100NTD for deposit and loaded it for 100NTD. The Easy Card can be used in trains, buses and food establishments. You can read more about Easy Card here. I will briefly enumerate the places we have visited, but I will create a separate, detailed post for each. Taipei is known for its night markets. We planned to visit one night market per night. So we only picked the best 3 based on our research: Shilin, Raohe and Ximending. Be ready to see crazy food items at these markets. I would say my favorite was Shilin. Raohe was almost closing when we arrived. It was smaller compared to Shilin and Ximending. Ximending area is huge! Bring patience and energy. This was the only historical attraction that we have visited in the entire trip. This monument was built in memory of Chiang Kai Shek, former President of the Republic of China. The area was surrounded by a park, National Theatre and National Concert Hall. This was a good place to take an #OOTD. You can also witness the changing of guards, which happens hourly from 9am – 5pm. And don’t forget to bring an umbrella or shades, especially if you will go there in the morning or afternoon. Classified as the tallest building in the world in 2004, until Burj Khalifa was completed. This 101-storey skyscraper is a must visit when in Taipei. It has a multi-level shopping mall, stores, restaurants and clubs. And it is the building where fireworks are launched during the New Year’s Eve. The Taipei 101 has an Observation deck on the 88th and 89th floor which will give you the best view of Taipei. But if you just want to take a photo of Taipei 101 from afar, Elephant Mountain would be the best place to see it. I am not very fond of animals. And I would have skipped Taipei Zoo if it weren’t for the Pandas! We spent less time here than one should, because we stuck to our goal of just seeing those cute pandas. We went straight to the Giant Panda House, afterwards we took the train to go around the zoo. And that was it. Few weeks before our trip, I saw an article in Facebook about a 24-hour bookstore which is a must-see for book lovers, like me. And luckily, this 24-hour bookstore can be found in Taipei! I definitely added it to our itinerary. The book store aside from being open for 24 hours, it allows people to read the books without buying it. The only downside that we encounter was, since we want to visit the bookstore in the wee hours of the night, we had to take an uber ride to go back to our hostel, becuase train stations close at 12mn. Have you seen the movie Spirited Away? If yes, this place will be more special to you. If you haven’t watched it, you should! It is a beautiful movie. Anyway, you will recognize the resemblance of Spirited Away setting and Juifen from the streets to the foods and the japanese lanterns and houses. Admission: Free but a lantern costs 200NTD. Stay in Taiwan for 4 – 5 full days. We compressed everything that we can in 3 days that’s why we were exhausted. Allot more days, there are a lot to see in Taipei. Try an authentic Taiwanese milk tea. If you are looking for something specific, make sure you have a photo of it. One time, we were looking for a specific brand of tea in Ximending and we asked a couple of vendors if they know where to find it. No one understood what we were looking for. We just gave up looking for it. Electric plugs in Taipei are different from the plugs in Philippines. But you don’t have to worry because they have usb ports and they’re almost everywhere. Their bus have usb ports! Stay connected by going to Taipei Visitor Information Center to get your wifi username and password. That’s it! If you are already convinced to go to Taipei, you can read here on how to prepare for your Taiwan visa.